A weekend getaway takes a dangerous turn when a mysterious nightclub owner (Pierce Brosnan) introduces a group of friends to a new designer drug. Stripped of their inhibitions, they start living out their wildest fantasies – but what starts out as a fun night of partying quickly turns deadly, as the island paradise deteriorates into a tropical madhouse. URGE also stars Justin Chatwin, Ashley Greene, Alexis Knapp, Bar Paly, Chris Geere, Nick Thune, Tommy Yoo, and Danny Masterson. 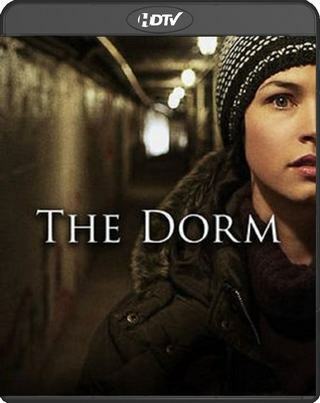 The Dorm is a psychological horror movie that revolves around an awkward college freshman who struggles with major self-esteem issues but undergoes a transformation into a flawless, seductive beauty at the hands of her new dorm mates. Cassie Steele and Max Lloyd Jones also star. "Cavemen" is a comedic film with a slight edge of drama revolving around the lives of somewhat single, somewhat unemployed guys living in a warehouse converted to living quarters. The 2013 MTV Movie Awards were held on April 14, 2013 in Los Angeles, California. The award show was hosted by Rebel Wilson. The nominees were announced on March 5. Wayne Gretzky (no relation) is a vampire who can't grow his teeth. His impotence began when he inadvertently killed Mary Lipinsky, the love of his life, 300 years ago. To take his mind off the pain, he teaches college history – who better? Attempting to regain his full power, he enlists help from his friend and colleague, Dr. Levine (Gary Cole). Nothing works until a new semester brings freshman Chris Keller. She's a dead ringer for Mary and they have a lurid affair, while rumors fly around the campus. But it all sours when he turns Chris into a vampire and her newfound bloodlust spins out of control in a bloody rampage, making the rumors a little too real.